Education > News > Creative Collaboration in OneNote – Rewrite the Story! Creative Collaboration in OneNote – Rewrite the Story! Guest post by Lynette Barker, Teacher – Librarian at St There’s Primary School and Microsoft Innovative Educator 2015. You will often hear a groan echoing around the room when students are asked to construct a narrative. Creative writing is a talent, and despite the many scaffolds, tips and tricks we provide for our students, it is still a daunting task for many. 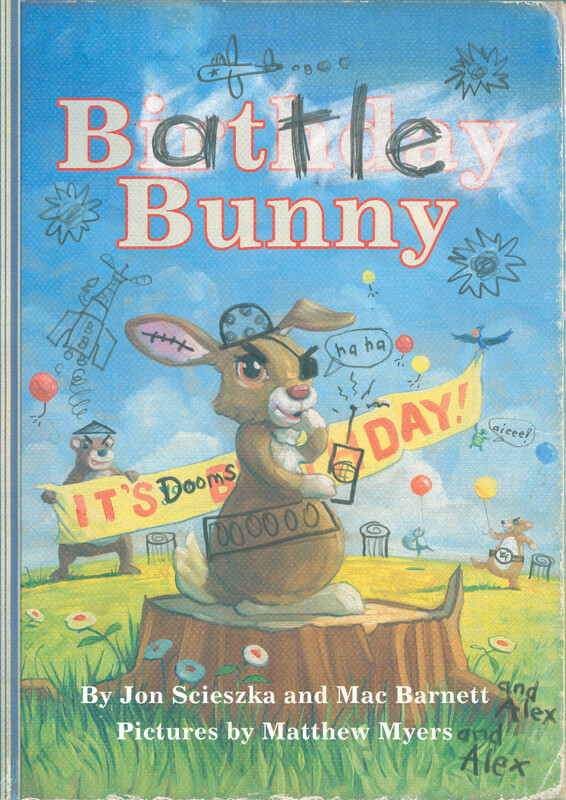 “Battle Bunny” written by Jon Scieszka and Mac Barnett may offer your struggling writers the inspiration they need to start writing. 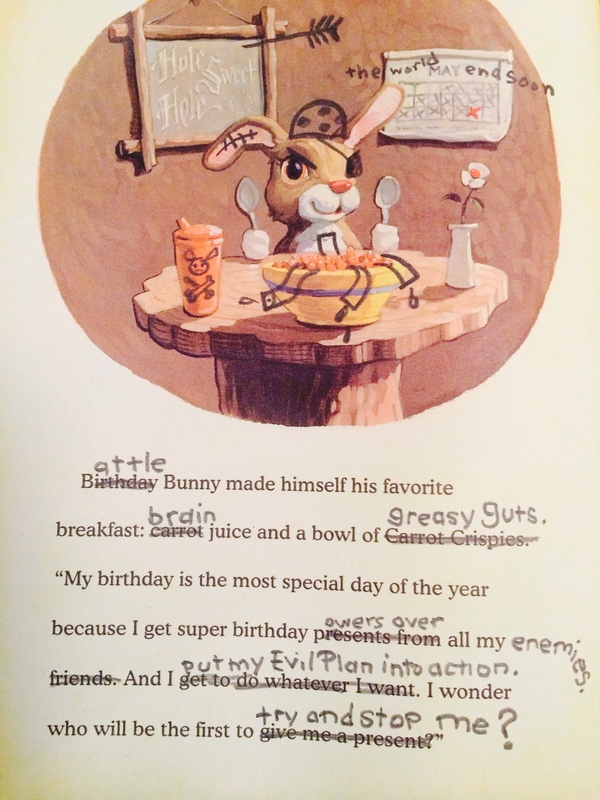 The Battle Bunny plot is simple – a young boy named Alex has no interest in the sappy picture book ‘Birthday Bunny’ that his grandma found at a garage sale so he decides to rewrite the story and create a more wickedly enticing adventure of his own. With some creative and villainous editing by Alex, Birthday Bunny becomes Battle Bunny and the adventure begins. However it was not the plot that grabbed my attention when I found this book (although the Year 6 class I shared it with thought it was hilarious) it was the idea of ‘writing’ over an existing text that hooked me. 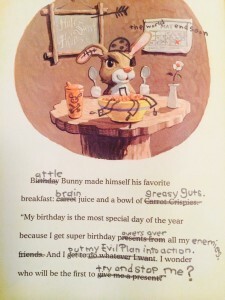 I just knew this idea would engage our reluctant writers and they too would want to have a go a rewriting Birthday Bunny, adding text and graffitied pictures, to create their own story. 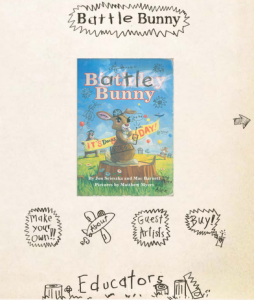 This is exactly what the publisher, Walker Books, encourages the students to do, and they even offer a free pdf download of the original Birthday Bunny text to get them started. This task works brilliantly with OneNote and Surface 3. Simply print the file to OneNote and allow students to be creative! I found it best to ‘set the picture as background’ to prevent it from being dragged around on the page (right click on file printout to see this option) .The erase feature of the stylus enables easy editing as the students create their masterpiece. The students I shared this task with jumped in immediately – they grabbed their stylus and started rewriting the text, although some did opt for pen and paper. A couple of pages in I could see the writing slowing and the thinking kicking in. The students were deciding what direction their story should take (plot development) and they were thinking more carefully about the words/vocab inserted (character development and use of descriptive language). A great example of the application of writing skills in a multi-modal environment. Who owns the story if we rewrite it? How would we gain permission for ‘rewriting’ a story if we intended to publish our version? So much fun (and learning) to be had by all!